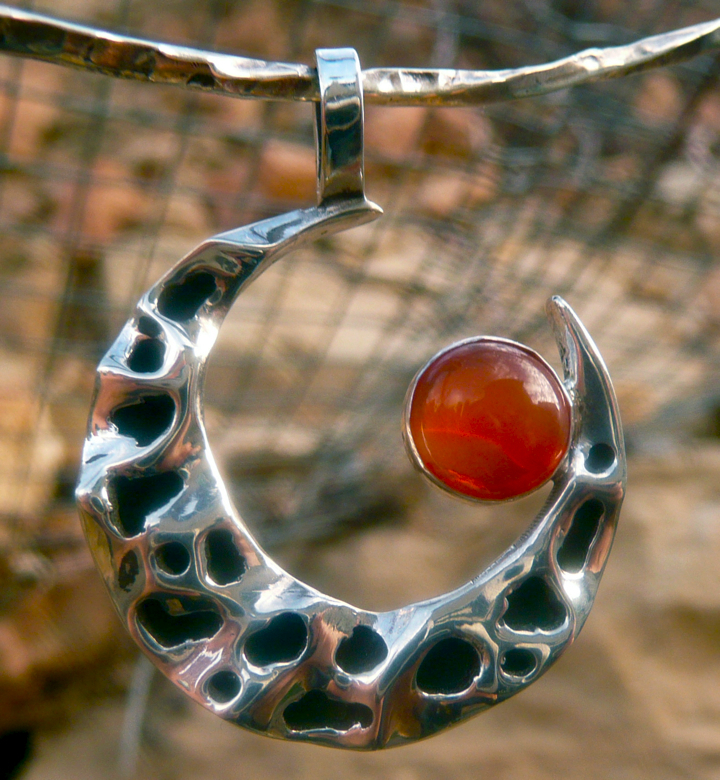 Carnelian (also spelled Cornelian) Moon Pendant. The stone in this pendant is a beautiful translucent orange that almost glows in the light. Carnelian is most likely connected with the 2nd or Sacral Chakra and may be used to enhance creative energy, vitality, passion, and desire. The second chakra is also connected to emotional fluidity and governs the sexual organs, stomach, upper intestines, liver, gallbladder, kidney, pancreas, adrenal glands, spleen, and middle spine.